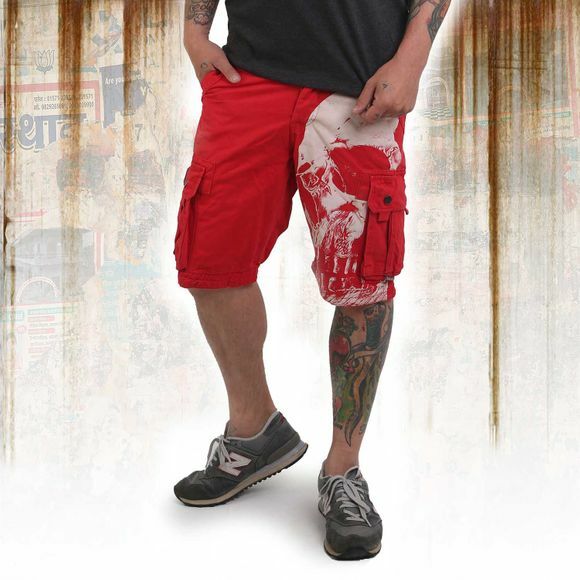 YAKUZA SKULL men's cargo shorts. 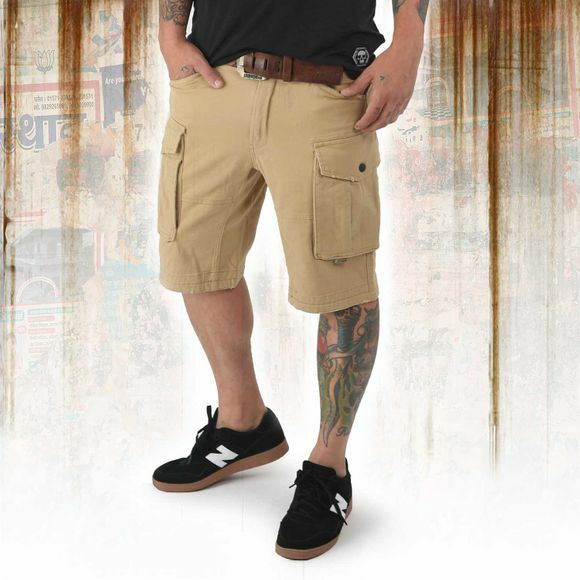 Multi pocket military style shorts featuring a button fly fastening and a vintage print design. These shorts has at all 6 pockets. Extremely comfortable to wear thanks to supersoft cotton. Please watch out for the washing instructions below.